Last Sunday everyone studied the same material in Custer Road's small groups and Sunday schools: a stewardship lesson I wrote on Paul's use of the word charis in 2 Corinthians 8 & 9. Here are some highlights from that lesson, as well as a real world example of life application. Central to the lesson is the idea of reciprocity. In Paul's world, as well as our own, this was an important concept. You do something for me, I do something for you. From a Christian perspective it's God does something for us, we do something for others. Reciprocity. In 2 Corinthians Chapter 8 and 9, Paul gives us some of the New Testament’s most profound teachings on generosity and giving. One of his goals in ministry is to honor the legacy of the Jerusalem church, founded by the original apostles, who empowered him to be an apostle. Paul’s ministry was focused on Gentiles (non-Jews), while the ministry of the original apostles was primarily focused on Jews in and around Jerusalem. So Paul encouraged his fledgling congregations to contribute to a “generous undertaking” (2 Cor 8:6) for the Jerusalem mission. Some of his smaller, less affluent churches had already contributed—but the Corinthians, a larger and wealthier group, had not yet joined. Paul uses the Greek word charis, usually translated “grace,” throughout his plea to motivate the Corinthians to increase their generosity. Paul uses charis in Chapters 8 & 9 several times. Briefly read each verse and search for the word. 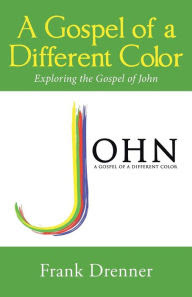 It is variously translated as “grace,” “generous undertaking,” “privilege,” generous act,” “thanks be to God,” “blessing,” and “thanks” (2 Corinthians 8:1,4,6,7,9,16,19; 9:8,14,15). Let's rewrite the text using grace for charis each time. 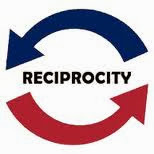 And look for the theme of reciprocity. But grace be to God who put in the heart of Titus the same eagerness for you that I myself have. For he not only accepted our appeal, but since he is more eager than ever, he is going to you of his own accord. With him we are sending the brother who is famous among all the churches for his proclaiming the good news; and not only that, but he has also been appointed by the churches to travel with us while we are administering this grace for the glory of the Lord himself and to show our goodwill. He who supplies seed to the sower and bread for food will supply and multiply your seed for sowing and increase the harvest of your righteousness. * You will be enriched in every way for your great generosity, which will produce thanksgiving to God through us; for the rendering of this ministry not only supplies the needs of the saints but also overflows with many thanksgivings to God. Through the testing of this ministry you glorify God by your obedience to the confession of the gospel of Christ and by the generosity of your sharing with them and with all others, while they long for you and pray for you because of the surpassing grace of God that he has given you. Grace be to God for his indescribable grace! Last week I noticed that my gift to CRUMC was placed in my box, not the Financial Officer's. Hmmm. This presented an occasion for debate: I had given the gift online, yet the check actually came back to me-- a mistake by the volunteer who distributes mail. So was the gift already given in spirit? Could I just tear up the check and think of it as an act of reciprocity? To top all this off, Teresa Stroup, our Financial Analyst who processes checks, and her husband David happened to be in this exact lesson last Sunday. When I mentioned the check sitting on my desk, she said, "Yeah, I haven't seen it." I gave it to her yesterday, I promise.